4 Reasons Insurance Industry Pros Should Outsource Record Retrieval Services - ABI Document Support Services, Inc. - ABI Document Support Services, Inc.
Like law firms, insurance companies can benefit from outsourcing their records requests to a professional document retrieval company. Although law firms have been doing this for years, insurance companies are just now starting to realize the benefits of using a record retrieval company to obtain the medical records they need to make payment decisions on claims. Although many insurance companies have in-house teams or staff members who handle records retrieval, there are several advantages to using an outside service that specializes in obtaining medical records quickly and cost-effectively. Here are four reasons why insurance industry pros should outsource their record retrieval services. A document retrieval company like ABI Document Support Services can help insurance companies reduce the cost of claim payments by providing insurers with a claimant’s complete medical history. Not only does this save costs during the claims process, it also reduces the risk of litigation by giving insurance companies a comprehensive look at the claimant’s complete medical history. In a legal case, a plaintiff may not always disclose past injuries or medical treatment. At ABI, we make sure the insurance companies we serve receive the vital information they need. Whether they’re considering a policy related to long-term care, health, disability, or life insurance, insurers can also save money by obtaining complete medical records when approving and underwriting policies. At ABI, we have worked with insurance companies for over three decades. We partner with insurers to deliver all the information they need to make informed, cost-effective decisions. By partnering with a document retrieval company, insurance companies can automate their record retrieval process. And by working with a national leader in record retrieval like ABI, insurers can rest easy knowing their record requests will be handled by the country’s largest provider of record retrieval and document management services. With more than 35 years’ experience working closely with insurance companies and records custodians across the country, the ABI record retrieval team knows what record custodians require to fulfill record requests and provide medical records. Our team members review every request to ensure we have all the information we need to process your request as quickly as possible. If we’re missing information, our team members will notify you promptly to obtain the documents or data we need. In addition to our long-standing relationships with records custodians across the nation, we also prepare and serve subpoenas in all 50 states. Our team members have expert knowledge of the subpoena requirements in every state, eliminating the need for our clients to keep track of different rules and regulations. At ABI, our document retrieval services don’t stop with the delivery of your documents. With our secure, web-based tool, eSummary™ by ABI, clients receive their records in chronological order in a format that is easy to search, review, and analyze. 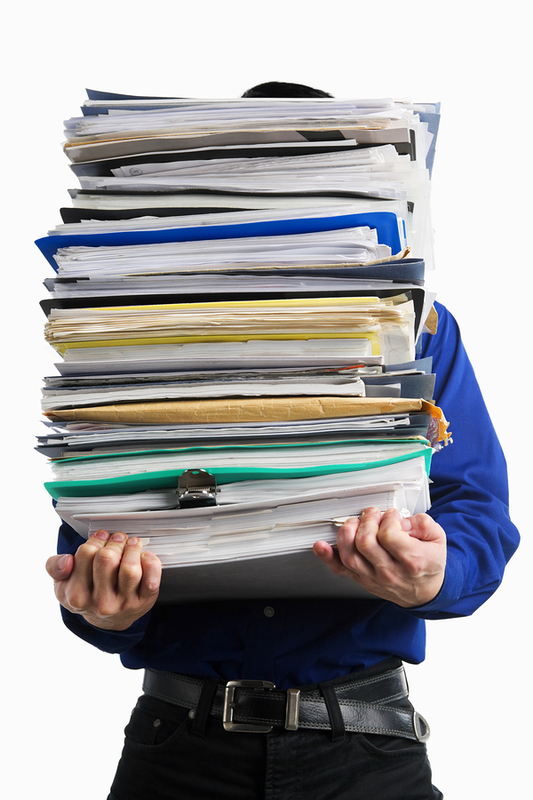 Traditional document review methods are time-consuming and difficult. eSummary simplifies the process by allowing clients to begin analyzing as soon as they receive records. Clients can also review and create notes in a single step. With eSummary, clients can also search for a word or phrase across all documents, as well as review documents in a custom date range to identify preexisting conditions or detect gaps in treatment. Our clients can also create custom reports that suit their needs with just a few clicks of their mouse. Your records are available from your computer, phone, or other device — making it easy to access them on the go. When you outsource your record retrieval to a professional document retrieval company, you free up resources and team members to focus on higher priority tasks. Instead of tending to constant follow-ups and status updates with records custodians, staff members can devote themselves to other areas of the business. Learn how ABI and eSummary™ by ABI can revolutionize the way you process claims and establish policies. Contact us today to learn more about document retrieval services for insurance companies.